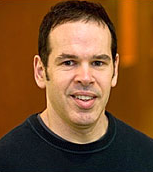 Adrian Piliponsky, PhD, is a principal investigator within the Center for Immunity and Immunotherapeutics at Seattle Childrens Research Institute, and an assistant professor in the Department of Pediatrics at the University of Washington School of Medicine. Dr. Piliponsky received his bachelors degree in Pharmacy from the University of Buenos Aires in Argentina. His passion for research eventually led him to The Hebrew University of Jerusalem in Israel where Dr. Piliponsky received his PhD. Under the mentorship of Francesca Levi-Schaffer, PhD, Dr. Piliponsky studied interactions of mast cells and eosinophils which are considered major players of allergies. With a desire to broaden his understanding of mast cells in vivousing mice with deficiencies in mast cells to study a variety of allergy and inflammatory disordersDr. Piliponsky took a post-doctoral position at Stanford University with Stephen J. Galli, MD, one of the lead researchers in the mast cell field.